Does it pay to sell a home online? Every day property websites such as Rightmove and Zoopla receive millions of clicks from home hunters. 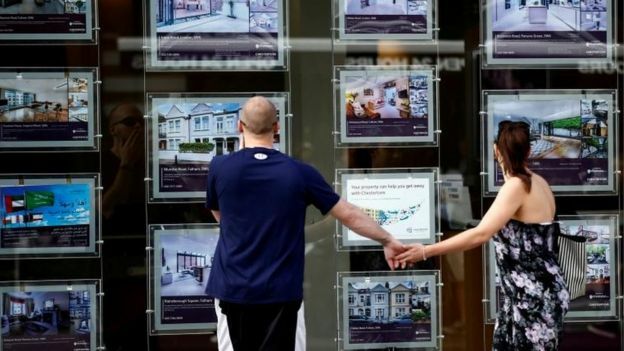 But to get your home advertised on one of those sites, you need an estate agent - and an increasing number of people are turning to online agents such as eMoov, PurpleBricks and Yopa. Their flat fees are less than those charged by traditional High Street agents, attracting customers and investors alike. However, online agents charge whether they sell the property or not. This leaves some people with a bill - and an unsold home. So, do low fees equate to a patchy service? 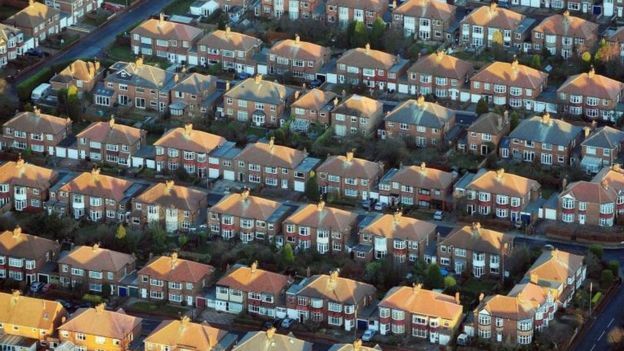 Joanne Buckley-Scott, a seller who signed up with PurpleBricks, said she had no viewings at all on her flat in 10 months and now owes a fee to a third party. She deferred her £798 fee which, in effect, meant that she was taking out a loan in order to pay later - a point that is explained in the terms and conditions. She says that a lack of communication and an overly optimistic valuation led to the lack of sale. Another seller, Kate Mullholland, also failed to shift her property through an online agent. "Not having a pool of agents for us was a massive downside. Our main issue was the agent, he was pretty awful," she says. "He drew the plans up incorrectly and his valuation was £75,000 north of what we sold it for. We ended up just forgoing the money and going with a High Street agent." The main attraction of online agents is that their fees are often hundreds of pounds when traditional agents charge thousands. The companies also believe that younger sellers are more comfortable with the digital experience of sales. Michael Bruce, chief executive of PurpleBricks, told Radio 4's Money Box: "Prior to launching PurpleBricks we spoke to thousands of people about what they liked about the industry and what they didn't. "What they were absolutely clear about was that they were fed up of paying enormous fees to estate agents for the service they provide." PurpleBricks describes itself as a hybrid agency. It employs "local experts" across the UK who work from home on an online platform to help customers sell their homes. They value the houses, take photos, draw up floorplans and create an advert which is then posted on Rightmove and Zoopla. The customer has an online profile on which they can regularly check the progress of their sale; they can accept viewings digitally and request feedback from visits. The fee is typically about £849, or £1,199 for those selling in and around London. The average High Street estate agent fee is 1.5% - so about £3,251 for a property priced at the national average of £216,750. The clear downside for sellers is that online agencies do not operate under a "no sale, no fee" basis. Property buying agent Henry Pryor points out that 20% of all of the properties on Rightmove have been on sale for six months or more. That means if they are advertised with companies such as Yopa, eMoov and PurpleBrick, the fee has been paid without the home being sold. So, sellers using online agents find it is much cheaper, but only if they manage to sell. Otherwise they have, in effect, joined a very expensive listing site. Joanne and Kate both believed that their properties were overvalued. Online platforms use Land Registry records, which are three months out of date, to calculate property value. Their experience shows that anyone thinking of using an estate agent, online or on the High Street, should remember to read the terms and conditions.